WRC is Off to the Races ! 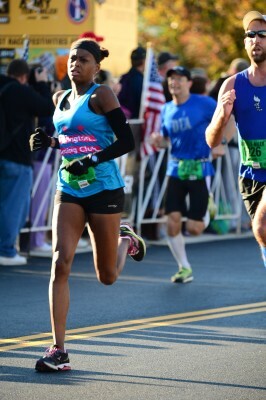 Who could be a better Race Coordinator for Washington Running Club than the consummate racer, Julia Taylor? As a strong runner and dedicated competitor, Julia is WRC’s new Race Coordinator. She has successfully lobbied the new president, Lauren Gabler, for funds to support WRC members who compete under the club’s banner. To that end, you can expect that financial help with entry fees, gear, transportation and post-race snacks when you join one of the club’s teams. Julia will be sending out queries periodically as races loom near. However, please feel free to let her know if there is a particular race that interests you. Take a look at the list of races, chat with your training partners and let Julia know if you want a particular race to be considered for subsidy. She will help you form a team and ensure that the club picks up part of the tab for your efforts. 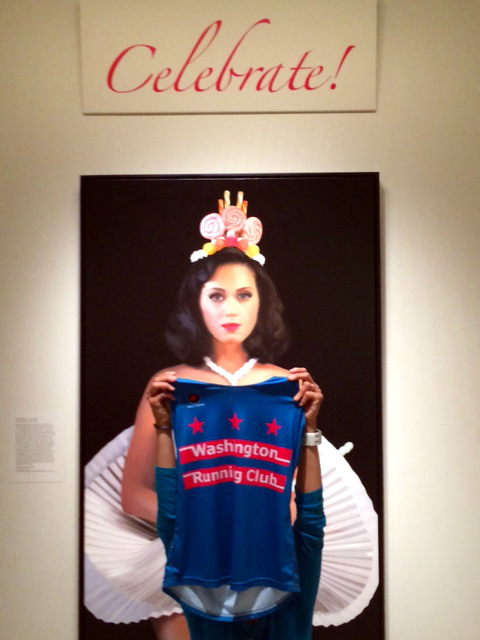 Competition: Washington Running Club Runs the World! Grand Prize: $100 gift certificate to Pacers!!!!!! We know you all like good competition! Here is your chance to tap into both your creative spirit and your competitive nature…all without lacing up your racing flats. 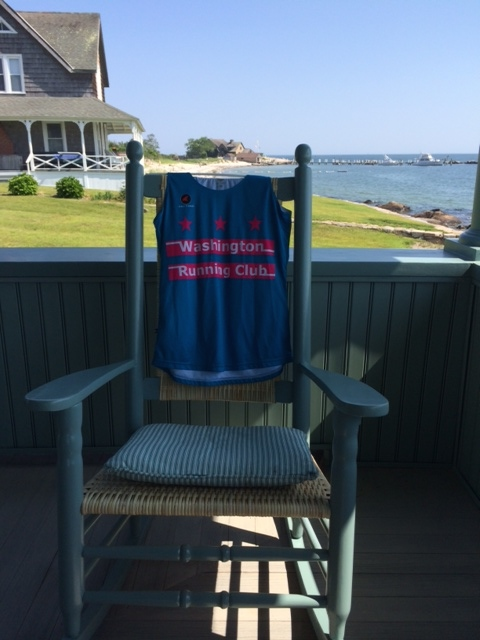 Photograph your WRC singlet as it ventures around the world. Take it to the beach! Have it scale Mt. Rushmore! Bribe Beyoncé to bop down a Brooklyn street with it nicely pinned for the perfect fit. Being the international crowd that we are, we are expecting to see the singlet with Big Ben in the background or Scotland Yard. YOU think up the possibilities! Prize: $100 gift certificate to Pacers Running Stores. Judges: Three of the newest WRC members of 2014 & two members of the WRC Board of Directors. These individuals are not excluded from competing! 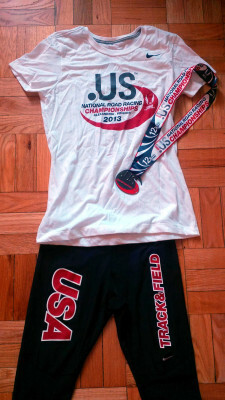 Send your photos to Carla Freyvogel at carla@washrun.org. Multiple entries are permitted. A gallery of current contest entries is available here. A HUGE thanks to the Pacers Running Stores gang for their support and enthusiasm! In lieu of this week’s Sunday Distance Run, we will be cheering on the marathoners! I will be staking out a spectating spot for the MCM and would love to have other non-racing WRC members join me. The spot will be the 16 mile marker, which is also about 10.5. It is at the entrance area of Hains Point. I will be joining Joey Plank and Bethany Pribila as they cheer for their team Team Racing for Veterans (R4V). Some folks may remember them from their handful of runs with us prior to their move to Minneapolis. They worked hard to establish this charity. The mission of R4V is: to support the rehabilitation of and provide opportunities for veterans in the United States through their involvement in athletics, races and adaptive sports. Joey and Bethany have invited us to join their celebratory party at World of Beer in Arlington, VA from Noon to 4 PM (901 N. Glebe RD 105, Arlington, VA 22203). An exciting day! Good luck to all runners!